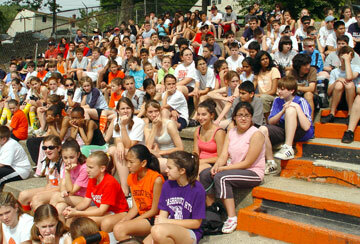 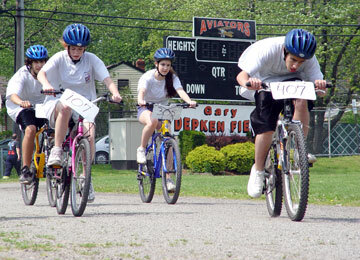 ... and it appeared that these Sixth through Ninth Graders could have completed another 10,002 miles. 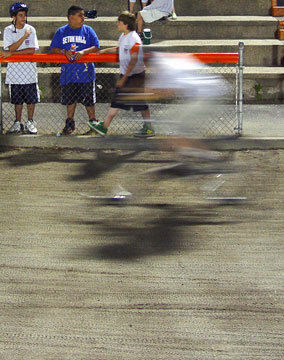 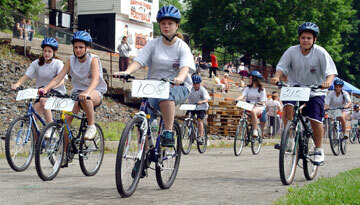 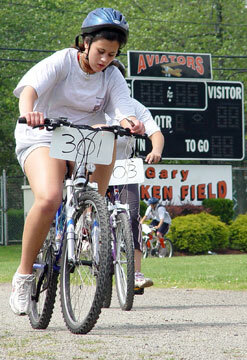 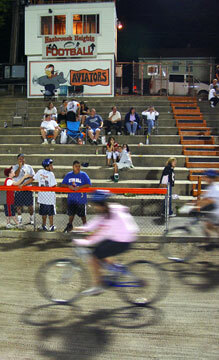 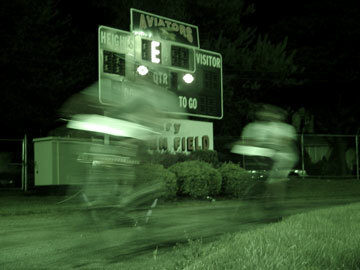 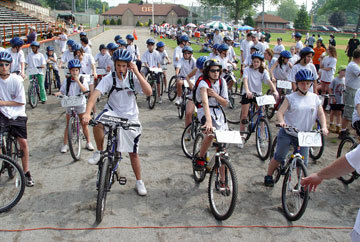 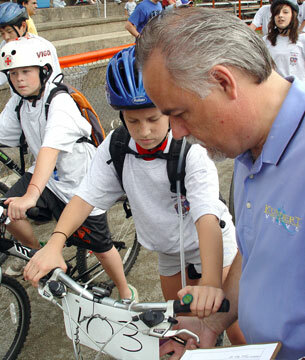 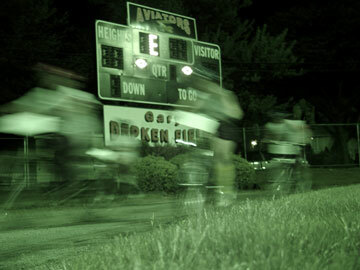 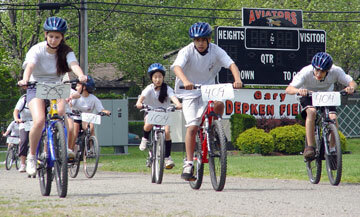 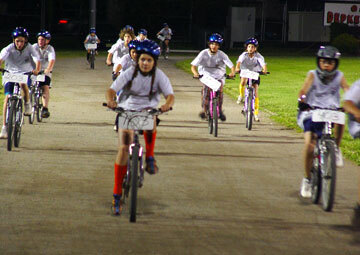 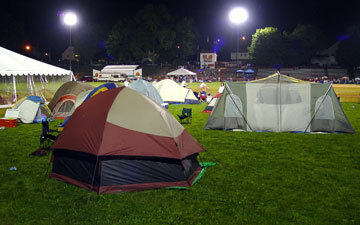 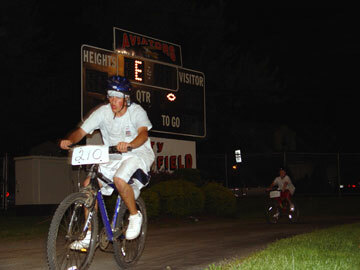 The 12th Annual 24-hour Memorial Weekend Bicycle Marathon was held at Gary Depken Field. 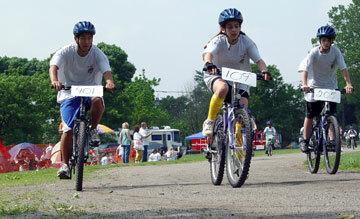 It started on Saturday, May 27 at 10:00 a.m. and concluded on Sunday, May 28 at 10:00 a.m.
Each team bicycle had an odometer installed and calibrated. 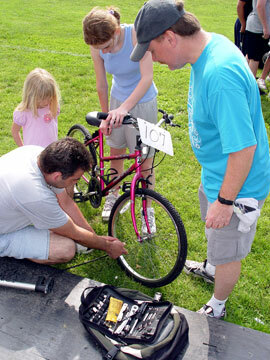 Periodic mileage checks were made throughout the event. 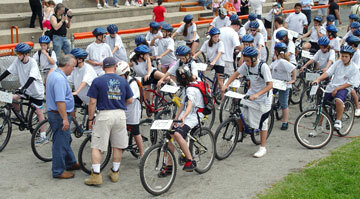 Every rider received a bicycle helmet and was required to wear a helmet and the "T" shirt while on the bicycle. 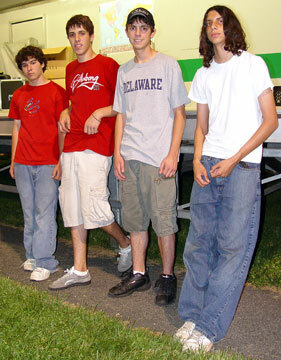 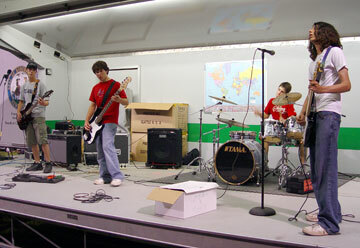 During early evening, "No Apparent Reason," a band from the Hasbrouck Heights High School played a few sets. 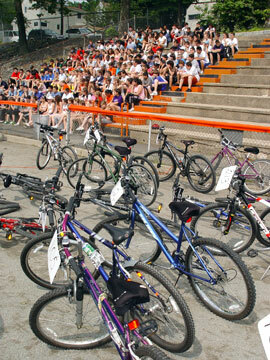 Overall winners received mountain bikes donated by Bill Kundert and presented during the Lions Club Fireworks Program. 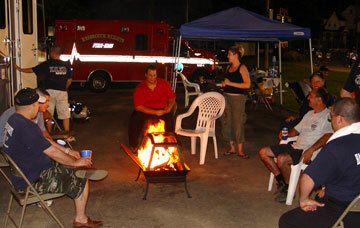 The Hasbrouck Heights Fire Department was on hand and in force. 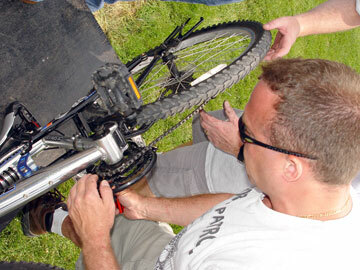 No major injuries were reported -- just a few cuts and scrapes.